When it comes to traveling, usually I’m the planner. Once a destination is set, I research things to do, possible day trips, where to stay, how to get around… I like to have all my bases covered in advance to minimize the stress and indecision that would inevitably come with leaving things up in the air. I envy those of you that find joy in figuring things out as they come, I need at least some kind of game plan. Earlier this year, when my lovely friend Emily mentioned that her boyfriend had no interest in visiting Scotland with her, I volunteered my services as a travel companion, and then had the pleasure of counting down the days to vacation while she eagerly mapped out our route for a whirlwind tour from Edinburgh, through the Highlands, over to Skye and back again for our return flight four days later. Yes, four days. One of the most common things I hear from locals when traveling is “Oh, why didn’t you come for longer?” In fact, that’s often the response I get when I tell people I’m going out of town for a few days and they balk at the idea of flying across an ocean for less than a week. I’ve said it before and I’ll say it again – yes, going on a longer vacation would be AWESOME, but if you don’t have that much time to take off, that shouldn’t be a reason not to go! In Maine, we have a few things going for us. First of all, we’re really not all that far from Europe. Our flight to Edinburgh was less than six hours. Second, we have access to Norwegian flights leaving out of Boston or Providence. Norwegian has become my go-to airline for affordable flights that make it easy to say yes to quick European getaways. This was definitely a whirlwind trip, but I’d go again in a heartbeat. And I don’t think I’m alone in that. We counted three separate groups of people all seated around us on our same flights both in and out of Edinburgh. And those were just the ones we recognized. 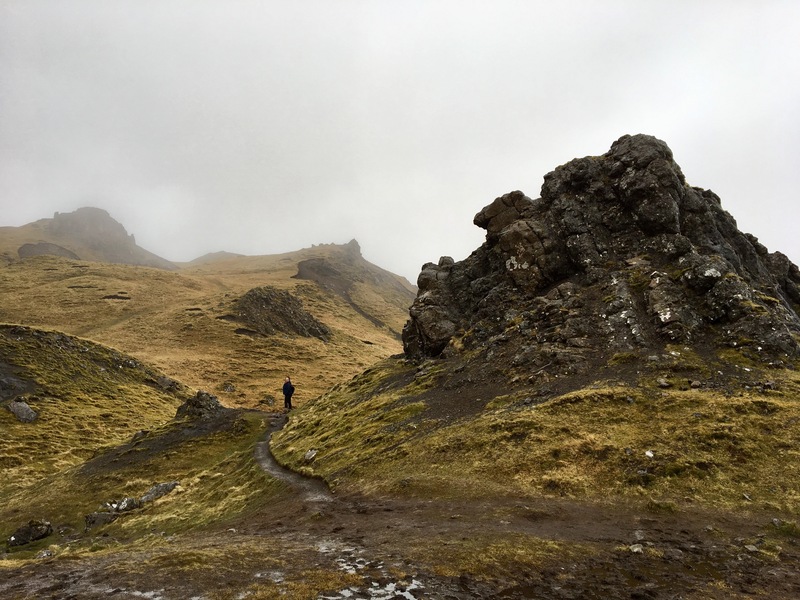 Anyway, here’s how we spent our four days in Scotland. The itinerary in its entirety was developed by my good friend Emily, with myself and our friend Jess along for the ride. I can’t take any credit for planning it out, but I’ll share with you how it worked from my point of view. 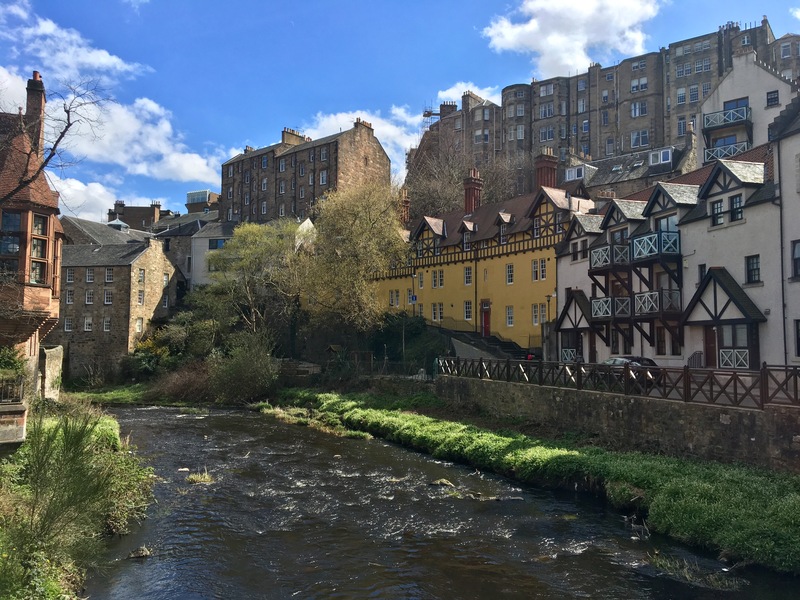 We took a red eye out of Providence, so we landed in Edinburgh around 9 am. The great debate, and in fact the only thing I had any concerns about before taking off for the trip, was when to pick up our rental car and if we should drive it into Edinburgh. We ultimately opted to pick it up right when we arrived, and head to a nearby park and ride where we could leave the car for the night and take the tram into the city. Since we couldn’t check into our Airbnb until 1, we opted to use our rental car as storage for our luggage and bring only backpacks with us for the night. 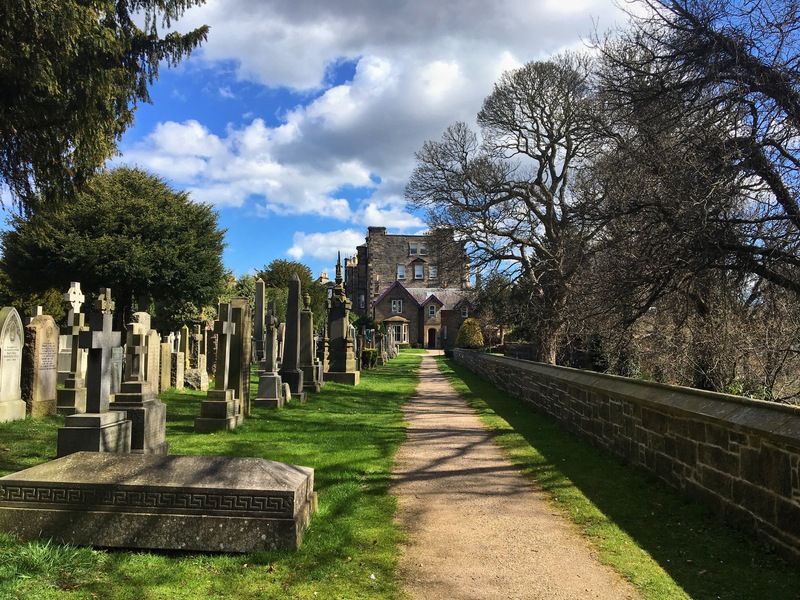 In a Facebook group we’d joined to learn more about Scotland, we were warned strongly against leaving valuables in the car, but for the night we were there everything was just fine tucked away in the trunk. The other warning we got was to avoid (at all costs) driving in Edinburgh. I drove the car out of the airport, while my copilot navigated through a series of a dozen or so roundabouts to get to the park and ride, and by the time we made it there ten minutes later, I was so, so happy we’d decided not to drive into town. We ended up enjoying the driving, and feeling quite comfortable with it by the end of our trip, but groggy from our overnight flight and headed into the busy city streets, I was very much relieved to watch the scenery go by from a seat on the bus rather than having to focus on getting comfortable with driving on the left side of the road while navigating the city. 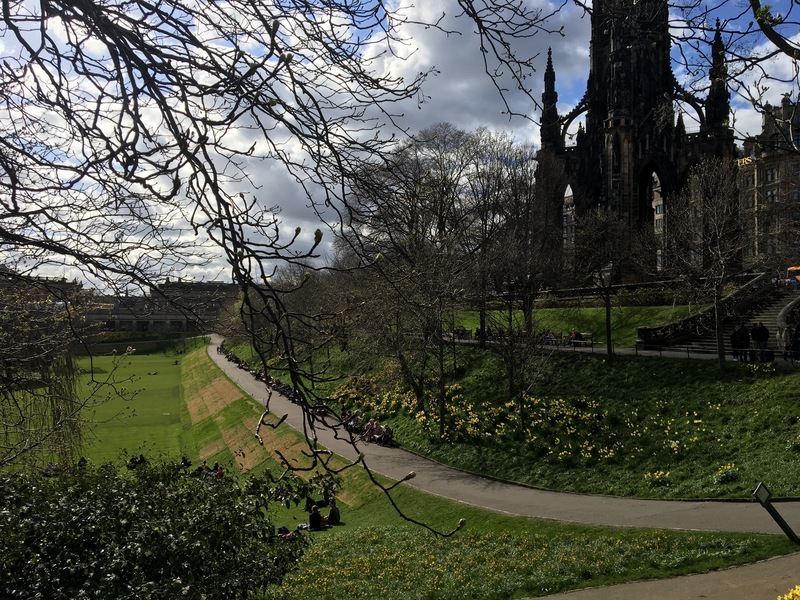 With less than a day to explore Edinburgh, we prioritized two things: food and drink, with some of the major attractions sprinkled in between. We quickly made our way to Milk Cafe to refuel before heading toward Dean Cemetery, exploring the streets while we waited to drop off our bags. After a sufficient amount of cocktail sampling, we grabbed some food and a bottle of champagne and made our way to Calton Hill to watch the sunset. We popped into the adorable Nomad Cafe for a quick breakfast before taking the bus back to our car. Probably the biggest challenge in getting used to the driving, for me at least, was immediately being thrown into roundabout after roundabout. Luckily, we quickly hit the highway where things were pretty much what I was used to, just on the opposite side. Pro tip: You don’t need to pay to have a GPS included in your rental car. If you have a smartphone, you can download certain regions from Google Maps for navigation, even if you’re offline. It won’t give you up to date traffic info, but otherwise functions as if you were online. We did this throughout the trip and it was a lifesaver. Our first stop was Bracklinn Falls, a quick hike to a set of falls and popular scenic bridge. If you have the time, you can cross the bridge and loop around. We were on a tight schedule, so we turned around when we reached the bridge, but it would have been an ideal spot for a picnic or a longer stroll. As we approached Glencoe, the scenery really started to change. Since I’d let Emily do all of the planning, I found myself gasping in surprise as we drove further into the mountains. 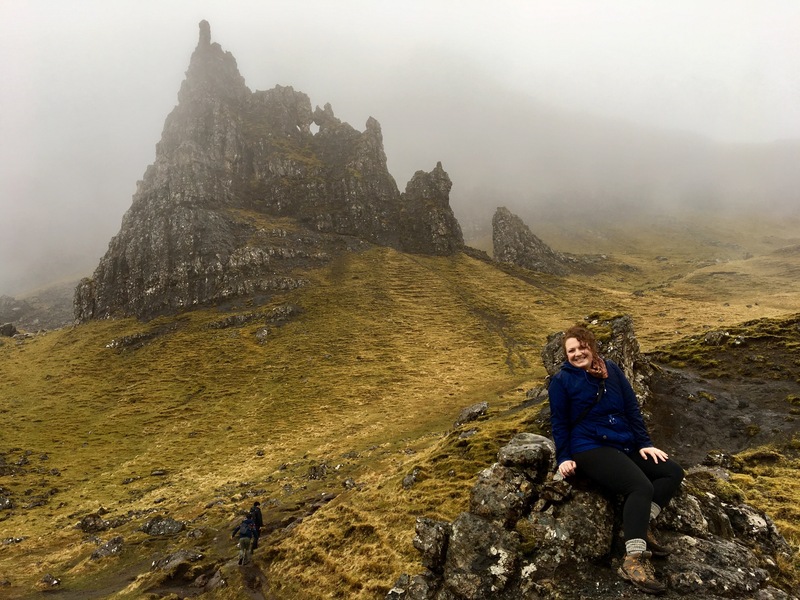 I don’t know what exactly I was expecting from Scotland, but it was something more along the lines of rolling green hills than the steep, snow covered peaks so similar to those that stole my heart while driving through Norway. It was on this drive that we veered off toward Glen Etive, down a single lane road winding along a river. Jess and I didn’t realize it at the time, but we had a mission that went beyond simply enjoying the scenery. We passed kayakers plummeting down steep drops, stopped to photograph waterfalls, and as we were debating whether or not to turn around and head back to the main road, we came upon a cluster of cars pulled to either side of the road. Drivers were out of their cars and we found what we had come for. Turns out, this particular stretch of scenic Scotland one track road was a hot spot for tourists and locals alike to visit with friendly deer. Emily’d come prepared with a bag of carrots, which they enthusiastically came running for at the sound of the bag, but the locals let us know that a certain type of biscuit was really their favorite treat. After we all got comfortable enough with each other, new groups of visitors started to crowd the road and we took off for our next destination. We were heading toward Glencoe, and ultimately to a lovely airbnb overlooking Loch Duich. It was a beautiful spot to spend the night, and we were even treated to tasty homemade chocolates from our host’s son (check him out at Chocolates of Glenshiel, they were delicious!). Dinner was at the nearby Kintail Lodge, where we were treated to an equally stunning view, good food, and an assortment of whisky for tasting. It’s hard to choose a favorite day in a trip jam packed with adventure and beautiful scenery around every turn, but this might have been mine. Our morning began at the Eilean Donan Castle. We were lucky to arrive right before they opened for the day, so we got to view the castle in all its glory, before the grounds became overwhelmed by tourists. 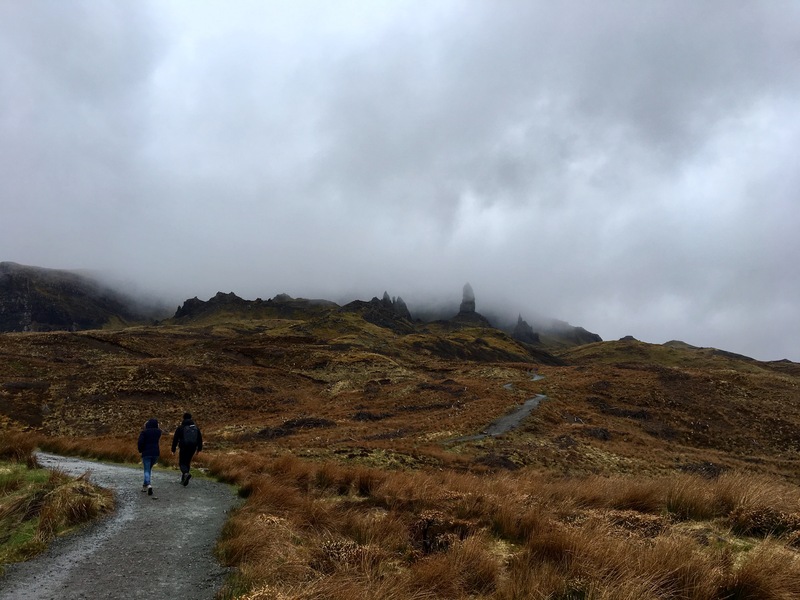 It was perfectly misty and moody when we reached The Storr. 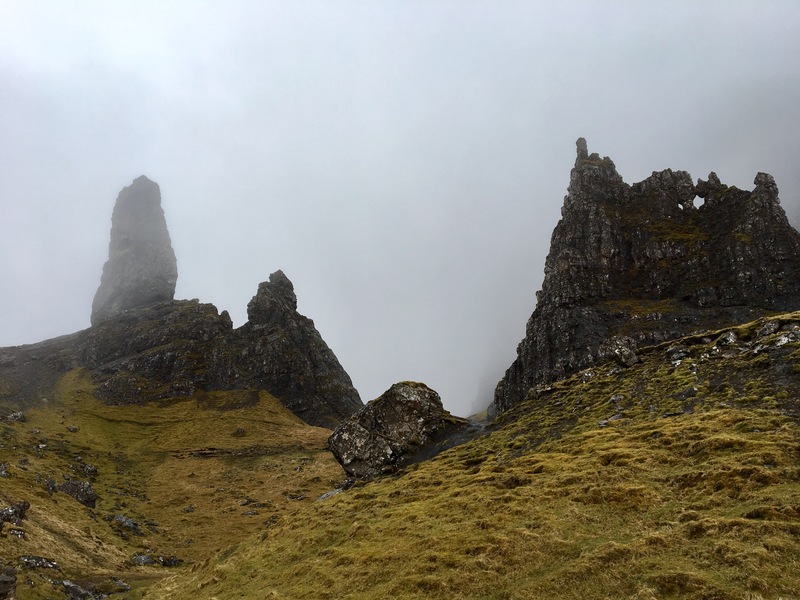 Climbing toward sharp peaks jutting from the clouds, the experience became increasingly breathtaking as the magnitude of the rock formations really sunk in. I think I speak for all of us when I say this place was magical. … and An Corran Beach. The tide was too high when we visited, but rumor has it there are dinosaur footprints left in the rocks on this beach. 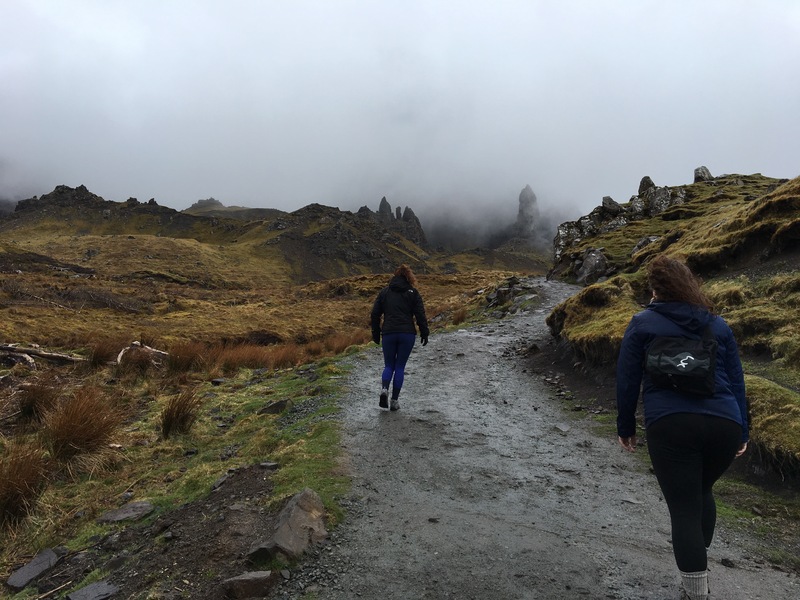 We opted not to take The Quiraing Walk, but with more time I would have loved to. We were able to drive up and at least get a peek at it. After checking into our hostel, we had one final destination to check off our list. Down a small, sheep-lined road, we reached Fairy Glen. Like the other areas we visited, getting a glimpse of this magical place made me wish we’d had more time to explore. 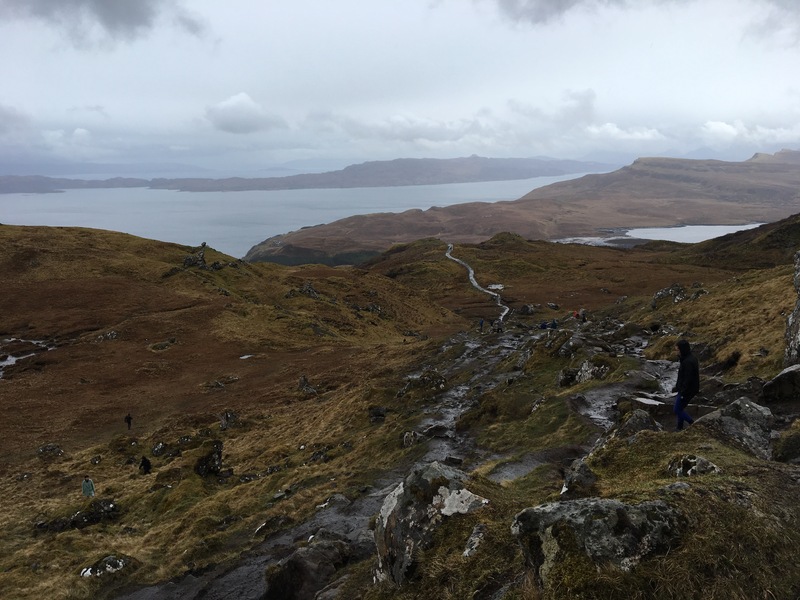 With a last minute change to our original plans, we opted to take a ferry as we made our way toward Oban rather than backtracking along the route we’d come. The small town of Armadale offered plenty to explore as we waited for the ferry to depart. Charmingly picturesque, it reminded us of home and the rocky Maine coast. Heading toward Oban, we made a pit stop at the Glenfinnan Viaduct, aka the “Harry Potter Bridge.” If you have the time, you can do a bit of hiking here and get a closer look. After a failed attempt the evening before, on our final morning we finally made it to Oban Distillery for a quick tasting. While we were waiting for them to open for the day, we stopped across the street at Oban Whisky and Fine Wines, where the gentleman working was very informative and walked us through options that ultimately turned into our souvenirs for the trip. In the light of day we were able to see a bit more of the city before the drive back to Edinburgh. We reached the airport sufficiently exhausted, but with a newfound love for this place we’d had a brief opportunity to explore.